Like Galaxy Quest was an homage to Star Trek, Mel Brooks off-the-wall comedy Spaceballs (1987) was a send-off of Star Wars. Its setting and characters parody the original Star Wars trilogy, as well as other sci-fi franchises including Star Trek, Alien, and the Planet of the Apes films. In desperation, Spaceball’s leader President Skroob (Mel Brooks) orders the evil Dark Helmet (Rick Moranis) to kidnap Princess Vespa (Daphne Zuniga) of oxygen-rich Druidia and hold her hostage in exchange for air. The film was met with a mixed reception but I think it can be classified as a cult classic, definitely an off the-wall-classic. OMG, that was hilarious!! Who would have thought you could turn that incredibly terrifying moment in Alien into this “spit your milk out” moment. Once again, Rick Moranis is absolutely brilliant! Just looking at him in that ginormous helmet, you can’t help but crack-up. Portraying the embodiment of the “Napoleon complex” his action playing with his dolls is too precious. IT WASN’T THE FIRST STAR WARS PARODY FILM. Amateur filmmaker, Ernie Fosselius was so enamored with Star Wars in 1977 that he cobbled together a 12-minute short, Hardware Wars, which he shot for just $8,000 in an abandoned laundromat. It was even declared a “cute little film” by George Lucas. LUCAS GAVE HIS (CONDITIONAL) BLESSING. BILL PULLMAN WAS BROOKS’ THIRD CHOICE. According to Pullman, the actor—who had not yet had a starring role—was approached by Brooks only after Tom Cruise and Tom Hanks turned down the role of Lone Starr, the Han Solo-esque lead of the film. Pullman said that hiring Rick Moranis and John Candy freed Brooks up to cast a relative unknown. BARF’S EARS UPSTAGED THE ACTORS. 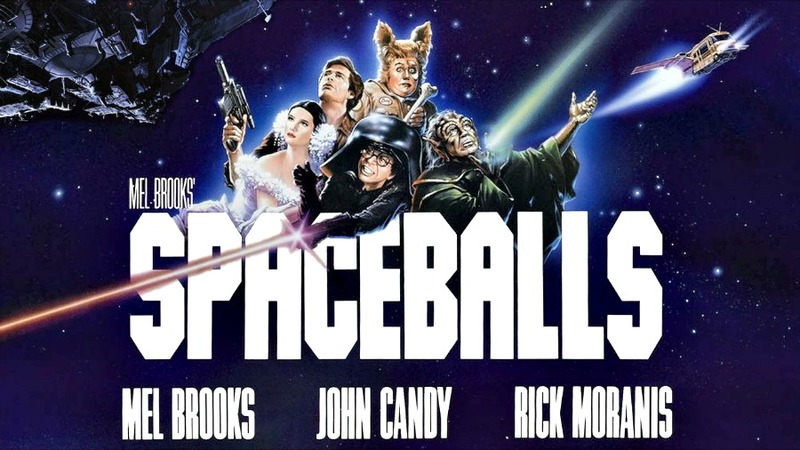 So, if you’re looking for a good laugh and a total mind distraction, I recommend “Spaceballs” as the perfect gag-filled tonic. This entry was posted in Actors, Actresses, Comedy, Directors, Film History, Sci-Fi, Writers and tagged #Alien, #iheartfillmblog, #Spaceballs, #Star Trek 50th Anniversary, #Star Wars, Mel Brooks. Bookmark the permalink.